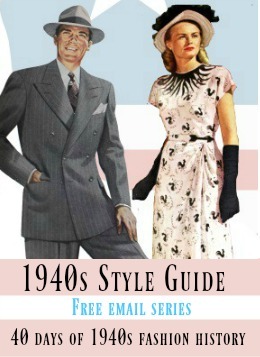 Learn 1920s fashion history and how to dress in 1920s style clothing. 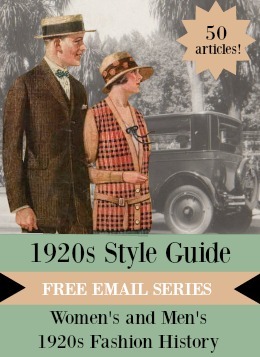 Whether dressing up for a roaring twenties themed event, finding a costume for a play, or doing research for a book these articles about life and fashion in the roaring twenties will help you. In the 1920s women would wear suits (matching skirt and jacket sets) for day to day work, travel and leisure…. Socks are often overlooked or disregarded as items of little importance. Indeed, socks are hardly perceived as garments of glamour…. We are Debbie and Oscar, your guides to dressing up like decades past. 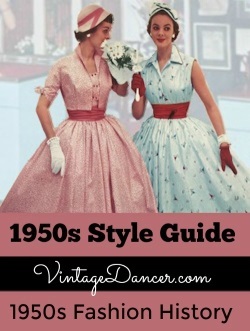 We are here to help you find clothing online and learn about vintage fashions as worn by everyday people, just like you. Need help with your look? Ask us anytime.